I was so nervous and afraid that I had forgotten how to teach! But thankfully, I discovered first thing this morning that teaching is just like riding a bike! It is hard to forget! We had a fantastic “Egg and Bunny” Themed day! We have Spring Break next week, so I made a point to have educated fun today! It was tough fitting in all of our “Egg and Bunny” activities into one day, but somehow we managed! Here’s a peek at what we did on my first day back! For Reading we read, “Knuffle Bunny“, by Mo Willems. My students ABSOLUTELY LOVED this book! While we read the story, we broke out the clip boards and filled out predictions sheets from Hope King’s “Knuffle Bunny” Literacy Study. what they saw in the pictures! 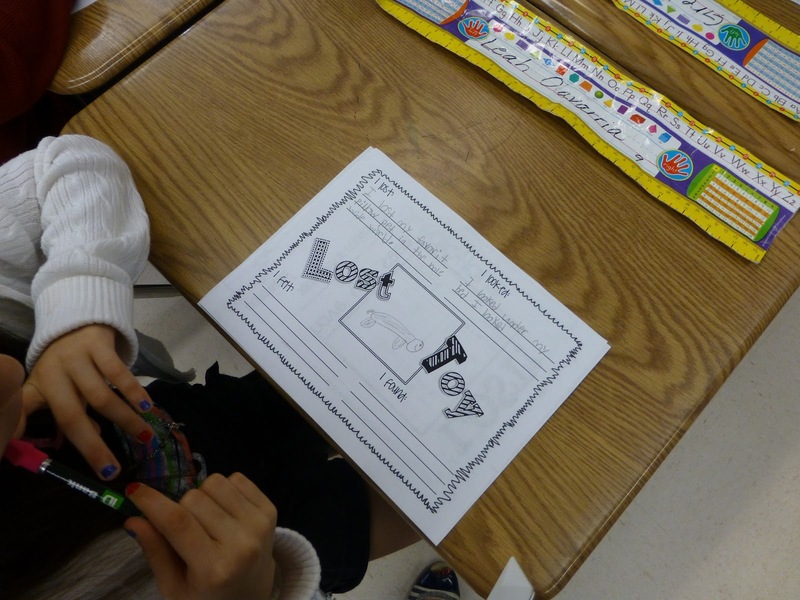 After we read the story again, we discussed how they felt about losing a special toy. 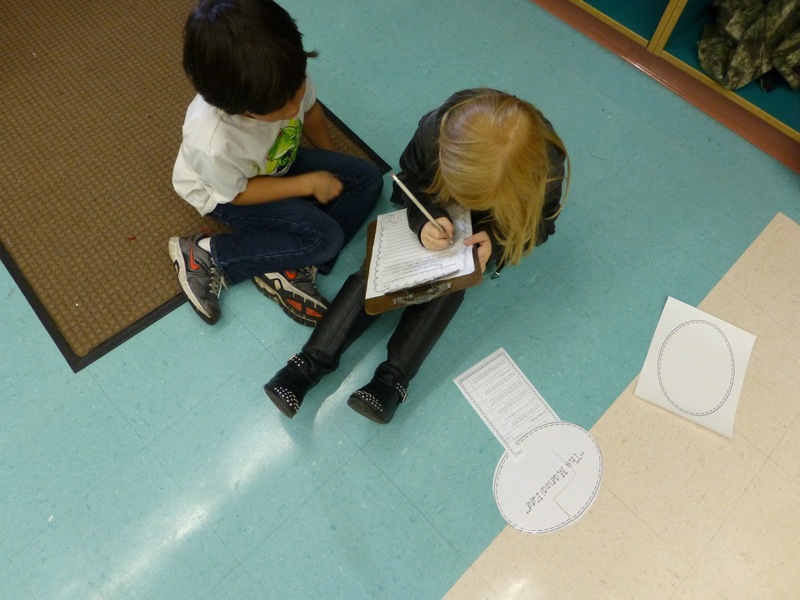 Then we completed the four square, “LOST TOY!” chart about a toy they had lost. 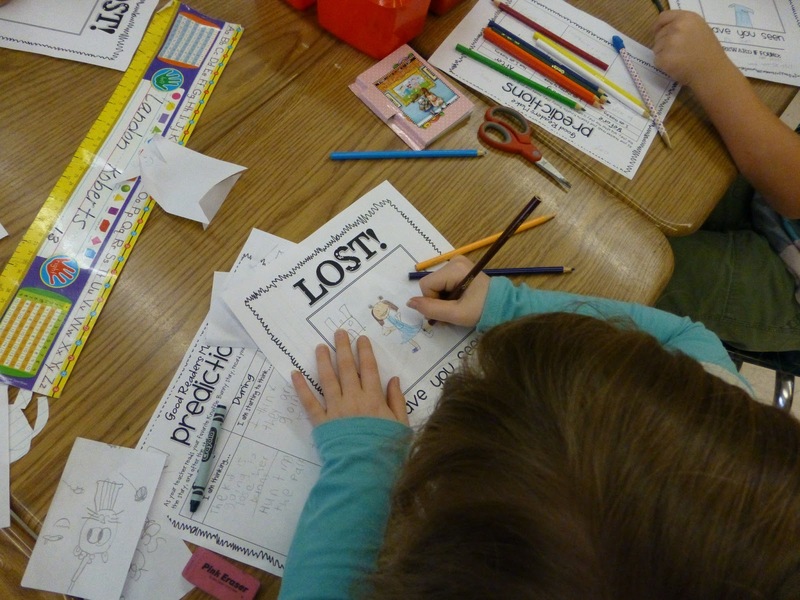 After a buddy share of their “LOST!” posters we moved into writing time! 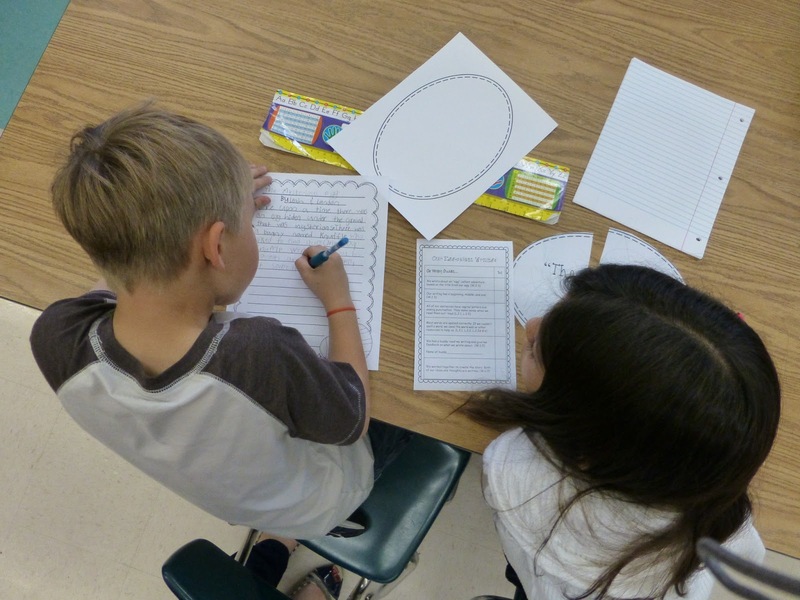 My students LOVE working with buddies, so my buddy narrative writing activity, “Our Egg-Cellent Writings” was just up their alley! 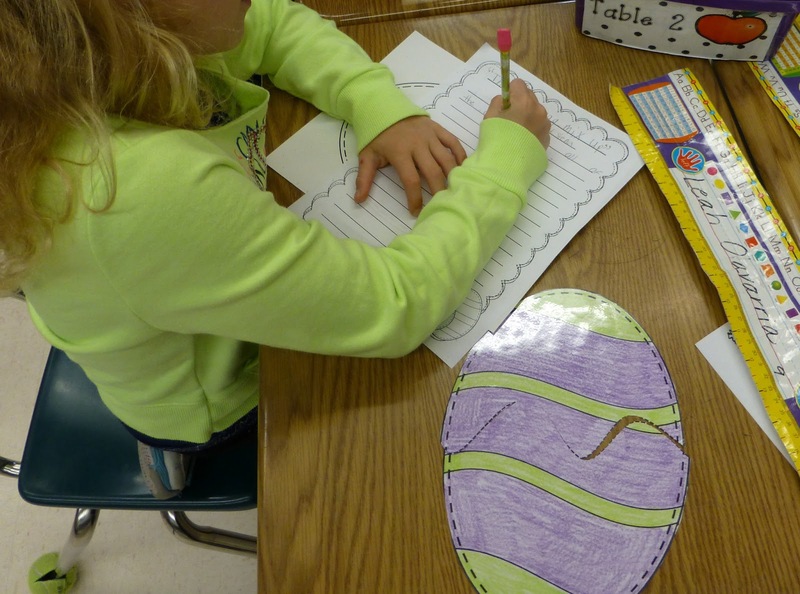 After each student choose one half of an egg, they found their other half and got to writing using the title that was on the back of their egg as inspiration. 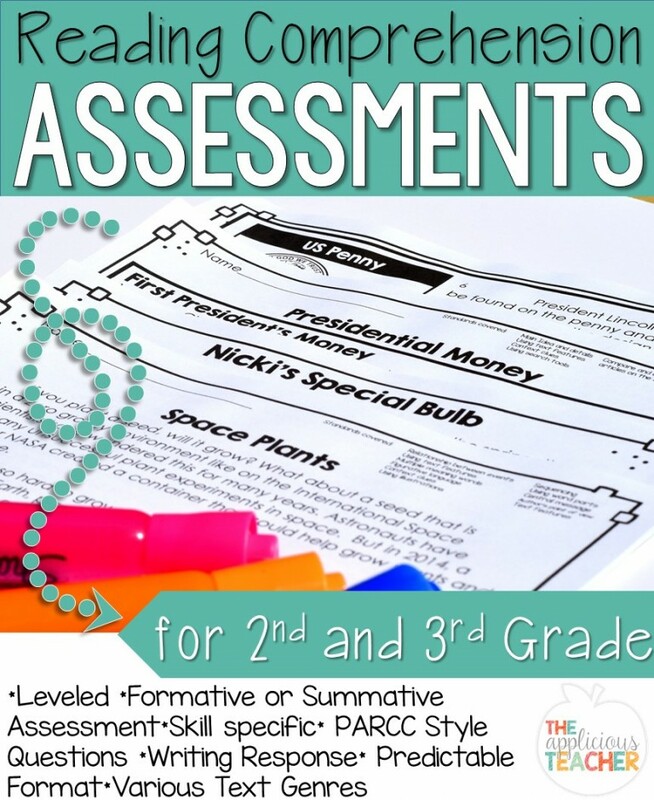 Once they were finished, they went through their rubric, created an illustration and published their writings. They turned out super cute! Can’t wait to hang them up! 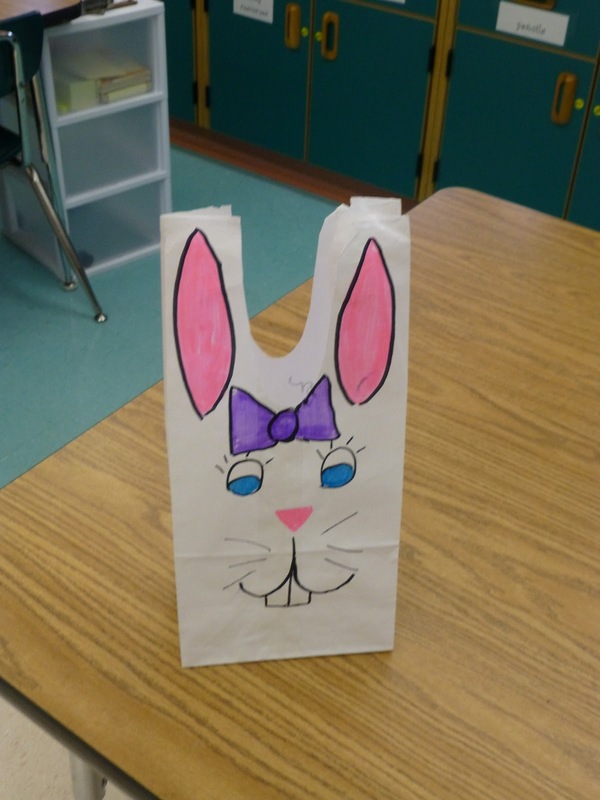 No “Egg and Bunny” Day is complete without and egg hunt, so we made QUICK bunny bags to hold our found treasures from paper lunch sacks. 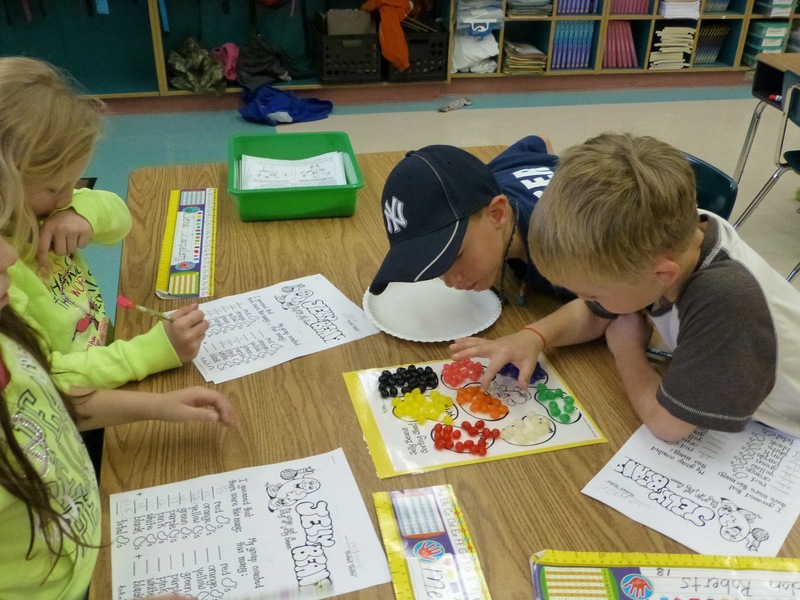 We ended our day by becoming product testers for the jelly bean company. I love when you can have seasonal fun with math skills wrapped in! 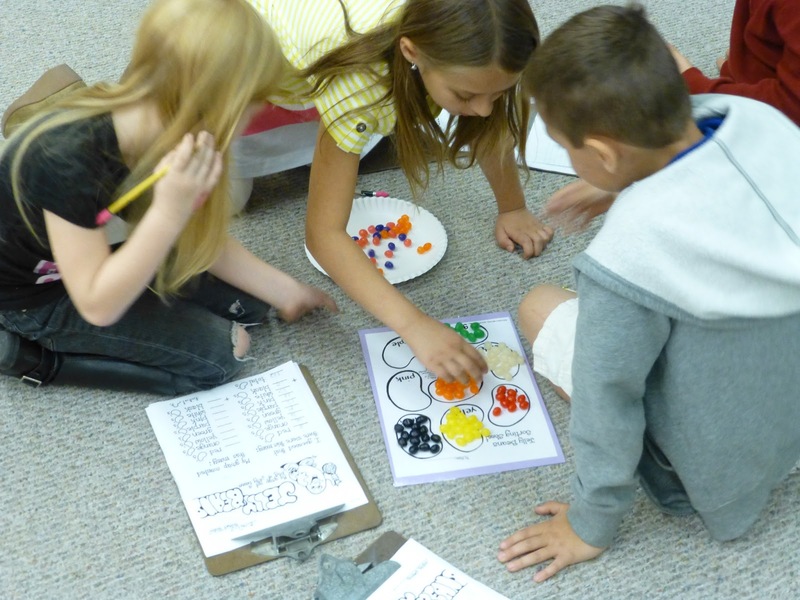 The kids had a blast sorting and graphing how many of each color jelly bean there was in their bags. Well that was my exhausting first day back! Thank goodness we are off for Spring Break this upcoming week! LOL! I already need a break! Super cute pic! I love your lost toy writing that is a great idea. Welcome back! I bet your students loved having you back again. Thank you Tammy! I def got LOTS of hugs! 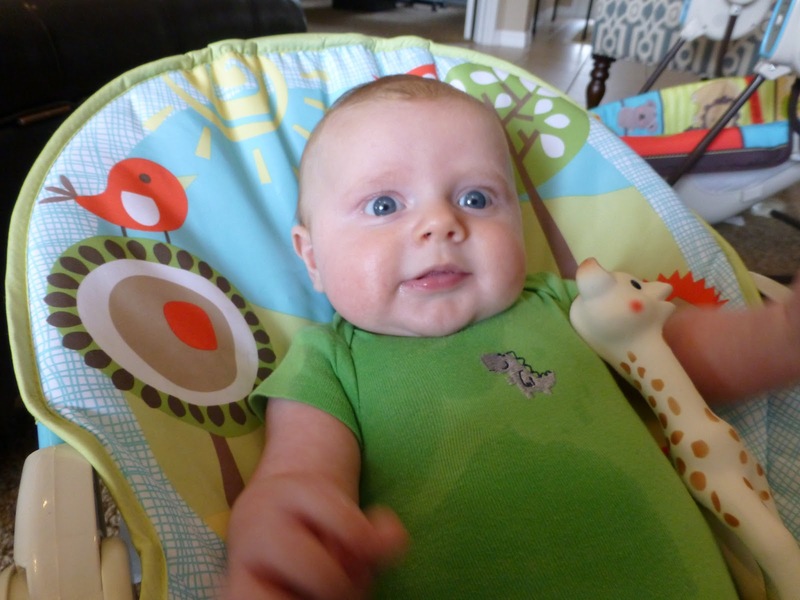 What a wonderful blog full of beautiful and very useful ideas! Sounds like you had a fantastic first day back on the job. You're right, teaching is like rideing a bicycle! 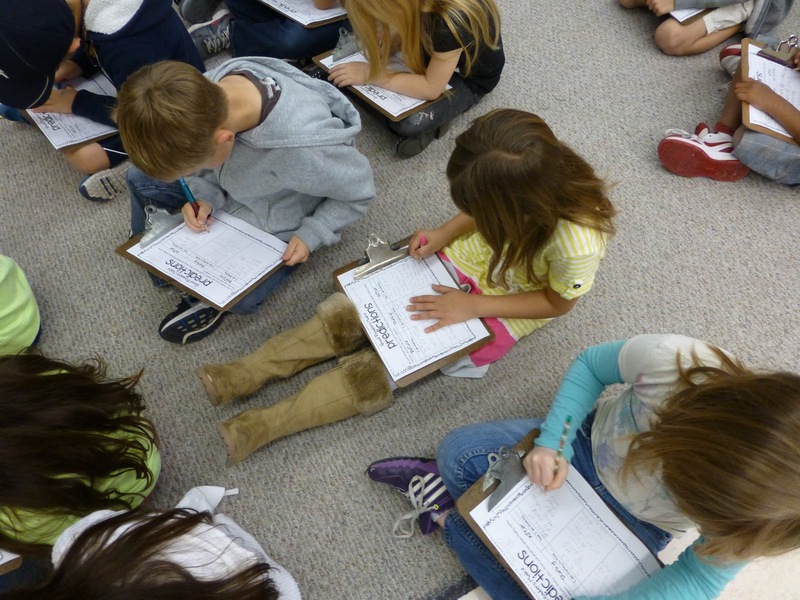 I think it's great that you provide your students with clipboards to use on the carpet area. 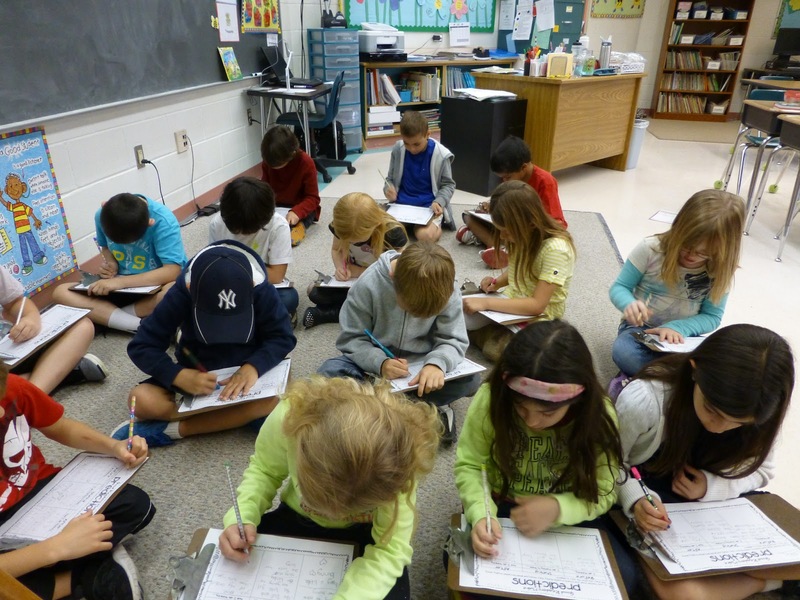 It's nice to change things up so the kids aren't always sitting at their desks. 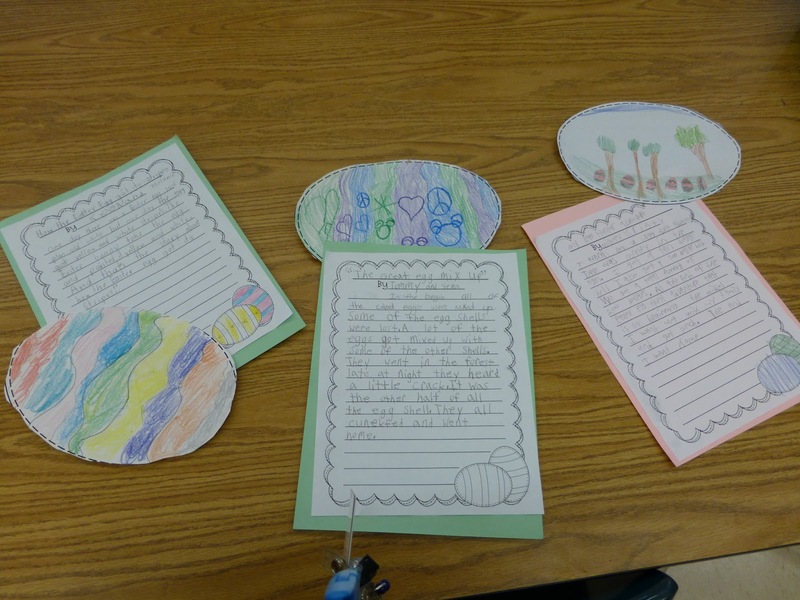 I looks like the children were really engaged in their writing prompts for the "Our Egg-Cellent Writings". Well done!